Vodka Cookies are for sure a completely new concept, especially during the merry Christmas time. Yet I felt compelled to share these colorful and fun cookies with you. Usually it’s all about rum, egg liqueur and other fancy alcohol flavors at this time of the year but when you live in the Indian coastline state of melting cultures then you need to think out of the box to express the soul of the happy emotions during the tourist season here. For the past years I have earned a few new Russian friends in Goa and when you think of Russia then Vodka isn’t far, right? The rare times when I go for a drink, I choose Vodka because of it’s clear color and flavor. It reminds me a bit of Schnapps and I guess because of that I prefer Vodka above Whiskey or Rum. I found a vodka cookie recipe once on a shabby old torn out magazine page in my mums kitchen which was the reason why I was inspired to make vodka cookies. When you use Vodka in your baking, the flavors evaporate mostly so use a quality Vodka brand for best results in the first place. The main vodka flavors on the cookie are mostly in the colorful icing. I wanted to make the icing yellow and I did add blue and green sugar decoration but of course you may prefer to use a different color theme. Personally I can tell you that people like the idea of yellow and blue on vodka cookies because of the association with Russia. Russians in general dress and follow a vivid color code here in Goa and bright colors such as pink, yellow and turquoise blue have been defining the Russian spirit in the past years. Have you used Vodka in your baking before? 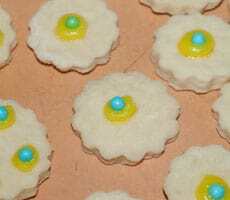 Colorful vivid Vodka Cookies for your senses in yellow and blue. Mix the flour with baking powder, Sugar, Salt and Vanilla Sugar first and then add the wet ingredients the Egg, soft Butter, Lemon Essence and Vodka. Mix the whole content and then work out for a few minutes to a smooth dough. Form into a big sausage and wrap into plastic and let the dough cool for 1 hour in the fridge. Just before you roll out your dough, preheat your oven to 180 Celsius. 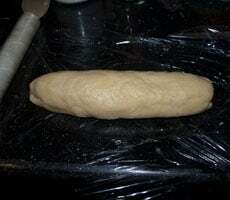 Take out form the fridge and roll your dough 4 millimeter thick out. 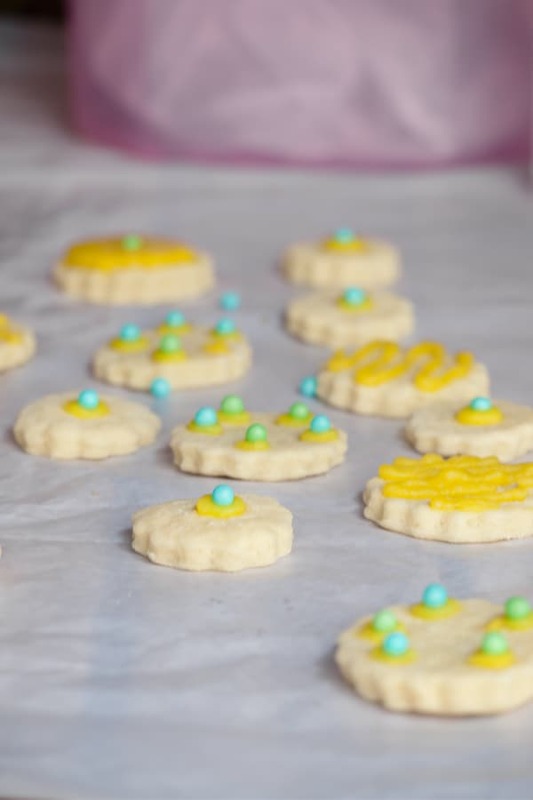 Cut out with a cookie cutter while using extra flour at the side so that the dough shapes don't stick. Place on a baking tray and bake for about 10 minutes. While the cookies cool prepare the icing by mixing the powdered sugar with the food coloring and Vodka. 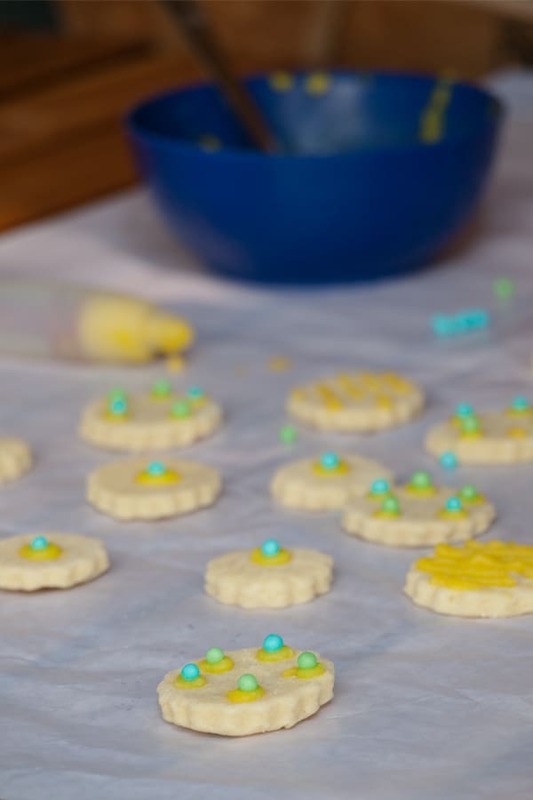 Place the icing into a piping bag and decorate your cookies with the icing and then push the colored sugar balls into the icing. Let the icing get hard and store in a airtight container if you live in the tropics and in a cold climate store in a metal box (+Apple skin to keep the apples soft). Pretty cookies! They must taste wonderful. Wow! Vodka cookies sound intriguing! I’ve never heard of it before. I love ginger snap cookies. They make the house smells like the holidays and a comforting on a cold morning. Vodka cookies? New to me! I know of some recipes that use vodka in pie dough (not for flavoring, but because supposedly it helps tenderize the crust, or something like that), but not in cookies. Sounds like fun! Thanks. John I heard the same thing with the pie dough. Pie dough is mostly a short crust and those cookies are kind of short crust cookies. Now the cookies are tender but I don’t know if the vodka is doing that. What an unusual recipe, Helene, but I’d love to give it a try because your cookies look so beautiful. I couldn’t wait to see this recipe when I saw the title! This is so fun! G’day! Never heard of vodka cookies, Helene, true! These would make a fabulous edible christmas gift. Vodka cookies? Where have these been all my life – in your mother’s kitchen! I’m so glad you share them with us. I’ll have to try them for Christmas. These vodka cookies sound so yummy! My favorite cookies to make are my kid’s favorite and that is peanut butter cookies. Wow, I didn’t know you liked vodka… and vodka cookies? !… that’s something new altogether and I am coming from a country where vodka is known to be very popular (I won’t even mention how many different varieties we have)! I want to go in the kitchen and made these little cookies right now! I’ve never used vodka in baking, only as a deglazer. 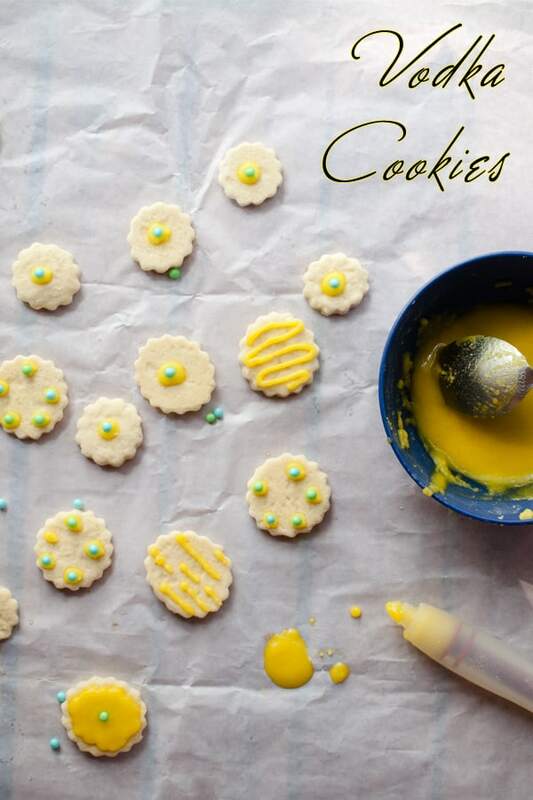 These little cookies look like such a tasty treat and perfect for our afternoon tea! I usually don’t have vodka, but now I know when I do to make these cookies! Hi Helene, what a curious cookie – I don’t think I ever heard of vodka cookies before! They look so cute – is the alcoholic flavour very apparent in the final product? Hi, this may be interesting you: Vodka Cookies!